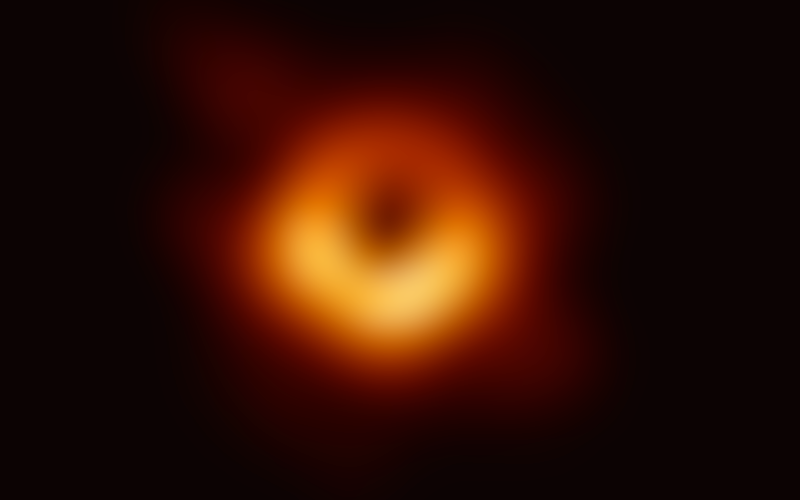 “Scientists” apparently filled a few dozen perfectly good “floppy disks” to bring back one single blurry image of a “Black Hole.” We’d like to say “Congratulations!”. It truly is a remarkable achievement! But what if there was another way to gather that information? And what if you could be a part of this amazing experiment and do it from the comfort of your own home ? We want you to visit the Black Hole yourself, using our patent-pending liminal exploration technique, and tell us what you find! All it takes is yourself, a quiet room, a timer, and 10–15 minutes. Unlike “scientists” who tend to rely on “evidence,” we’ve got a “very strong feeling” that a few weirdos sitting silently with their eyes closed have “as good a chance as anybody” in finding out what’s REALLY GOING ON inside this enigmatic black hole. In a place you won’t be disturbed, set a timer with an alarm for 10-15 minutes. Sit or lay down, with your eyes closed, and without falling asleep. In your mind’s eye, imagine a door leading to your chosen destination (in this case “The Black Hole”). Listen for an inner ringing sound, and stay with it, until you hear a word (or syllables). Repeat the word to yourself while you continue with the session. Imagine next the door opening, and yourself passing through, as you drift toward the destination, repeating the word. Continue until your alarm goes off. Observe carefully any sights, sounds, images, sensations—or entities—you may encounter, and write down your results while they are still fresh in your memory. Fill out the report form below. We are as serious as you are, if not more so. We’re curious to see if there will be any correlations across reports if people all concentrate their efforts using a shared liminal technique to visit a shared destination. Also: your authentic Black Hole Tour Reports* will help us expand our global database of weird and extraordinary encounters. (Sidenote: If you’ve experienced something weird out in the world, be sure to add it to the map! *Note: We only accept true reports of experiences. If you experience nothing, or something unclear, please mark it in your report. Isn’t this just remote viewing? No. This liminal technique is distinct from remote viewing, because anyone can do this, whether or not they have special abilities, training, or equipment. You won’t know unless you try. We recommend trying multiple times, with and without a goal or destination in mind. We have anecdotally found that with repeated experimentation, the perceived effects tends to become stronger, and the inner state easier to access consistently. What is supposed to happen? It varies for each person, but the effect is somewhat similar to hypnagogia, where you are on the verge of dreaming while still awake. How can that count as “real”?